About PCS » PCS 20th Birthday Events! PCS is celebrating its 20th Birthday. Celebrate & Participate! PCS’s 2018-19 school year will be capped off by PCS’s 20th graduation (PCS class of 2019). RSVP for All-School Big May 24-26th Weekend Events at Very Bottom of Page and Other Activities Below! See the school calendar for a comprehensive list of activities and events. Alumni Reception Hosted by PCS, 3:30 to 5:30 pm at neighboring Fairfield Inn & Suites, 2956 Mission Street, Santa Cruz. Complementary light refreshments. Reconnect with other PCS alumni and PCS faculty and staff. PCS Community Bonfire at Davenport Landing Beach, Central Beach Area, 6:00 to 10:00 pm. Come Celebrate 20 Years of PCS with a Bonfire at Davenport Landing! The whole PCS community (past and present), your family and loved ones, are invited. The fire, non-alcoholic beverages and chips and salsa will be provided. Public toilet facilities are available. Bring warm clothes and flashlights. No RSVP needed. PCS alumni and alumni parents are invited to join one of these fun gatherings the morning of Saturday, May 25th; continental breakfast served! SEE SCHEDULE BELOW. No RSVP is needed. • Art Gallery of student/alumni art competition with PCS logo [Contest Rules]. 2:00 pm Street Carnival Begins! 6:00 PM Event Ends - Head Toward Peace United Church for 7:30 pm Concert! Choral Concert, featuring PCS alumni and alumni family compositions and PCS community voices. 7:30 pm with reception to follow concert, Peace United Church, 900 High Street, Santa Cruz. Kickball and Dodgeball Games (alumni, students, teachers, families) with Breakfast Snacks. WANT TO VOLUNTEER TO HELP with any of the May 24 - May 26 activities? Go to My School Anywhere to sign up! RSVP for All-School Big Weekend Events! CELEBRATE PCS's 20th Birthday by Making a Gift Above! Gifts can be made in honor or memory of a current or past inspirational member of our PCS community. 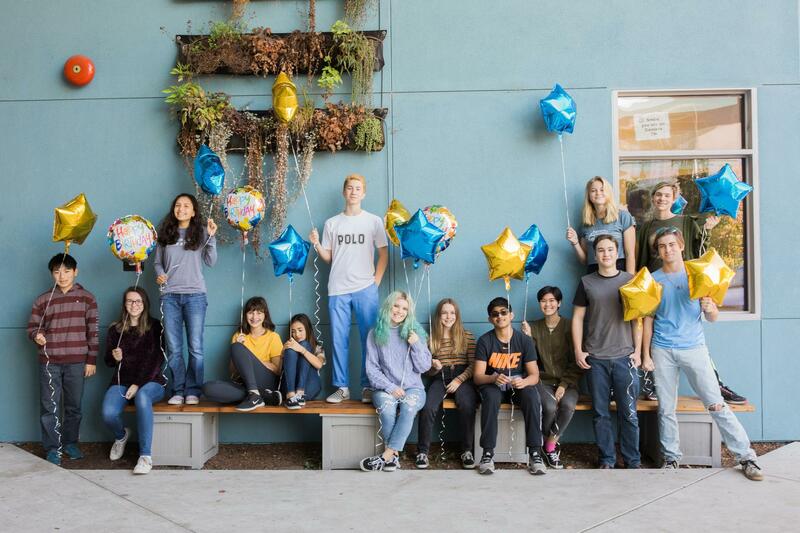 20th birthday gifts are dedicated to the general support of PCS, its students, and its acclaimed college preparatory program. Thank you!